Losing Fears and Erasing Bad Life Experiences - Motivate Amaze Be GREAT: The Motivation and Inspiration for Self-Improvement you need! Scientific fact: We are born with only two fears. The fear of falling and the fear of loud noises. How come in our adult life we have so many other fears? We learned them, any other fear we may have, besides those two, we have acquire it during our life experience. How could this impact our present lives? - As quick as you have learned a fear, you can also unlearn it. Think about your experience, when did you acquire a fear you have? - Most of us can exactly remember a negative episode about something that made link fear to that particular situation and that fear remained forever in our lives. Ex: fear of public speaking, you’ve spoke one day to a group of people and thing didn’t went that well; fear of spiders, you've been touched by a spider in an unexpected way; fear of cutting objects, you've been cut accidentally as a child, and since then you can't even touch a knife. 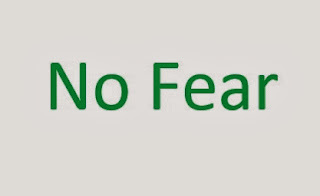 Now think about this,if you lived an episode that traumatized and the outcome was a fear, maybe if you didn't had that bad experience, today you would be fearless! Could this be possible? Of course it's the cause and effect logic, no cause no effect period. Ok, but you can't turn back time and erase those past experiences. What you can do is to start to view fears as things you can gain along the way, but you can also lose! How do you erase a bad experience? Creating a good experience with the same characters but different plot. Down play that "bad experience" maybe it's just a child bad episode that today should have no meaning. How do you lose a fear? Confronting him! Confront your "enemy" like he was your "friend". You can use various methods that vary in aggressive modes, but the important thing is that you go straight to the point don't avoid it. Again down play it, maybe it's not that big if you go deep on the origins of your fear.